What if I told you that I know how to short cut the payback period on a typical PPM maturity initiative? What if I could tell you how to abbreviate the growing pains and go straight to the results? 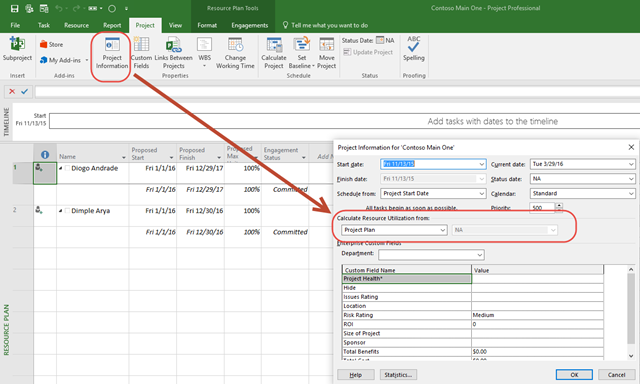 Getting to a solid ROI on your PPM investment takes a while. Take it from me, I’ve been working with organizations for decades on this (sometimes even the same organization). I’m not saying there’s isn’t a quick ROI on investing in PPM maturity. Rather, I’m saying that many of the organizations I work with could get better ROI and faster if they just followed a few simple principles. 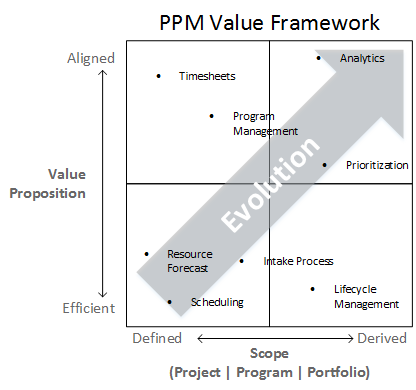 The first principle is to truly understand how PPM can provide value within the organization. Once we understand the real value proposition, we can make a bee line for that goal….knock it out of the park, and then turn around to focus on the less critical things. 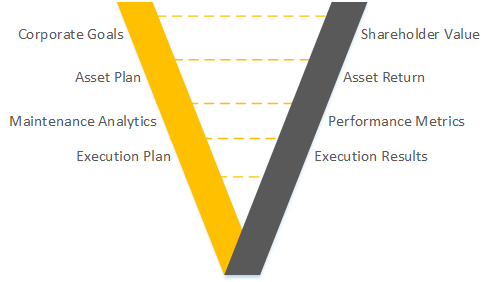 Think of PPM maturity similar to how I played Capture the Flag with my kids at a paintball park last weekend. When the referee kicks it off with the whistle, you sprint to the back of the compound, grab the opponents’ flag, and then turn around to begin mopping up the remnants of their force. So what’s the underlying goal in any PPM maturity exercise? Resource metrics? Operational excellence? Risk avoidance? Predictability? No, I would argue all of these are secondary goals. They’re necessary at some point, but not sufficient. No, the main goal of a PPM maturity undertaking is almost always to align project execution with the strategy of the company. Period. The challenge is that many times these endeavors are chartered at the wrong level, i.e. as an investment in project delivery by the PMO organization. When that’s the case, the journey takes on the characteristic of a salmon swimming upstream. We have to start at the bottom and keep working our way upwards until we can get to the point where the project portfolio may be aligned with the fundamental needs of the organization. This approach may be ostensibly risk averse, but it greatly slows the realization of the ROI on the PPM initiative. So how do we address this principle? Start at the top. Imagine that you’re starting with a white sheet of paper. Understanding the organization and its goals as you do, how do you design the perfect mechanism to execute on strategy? 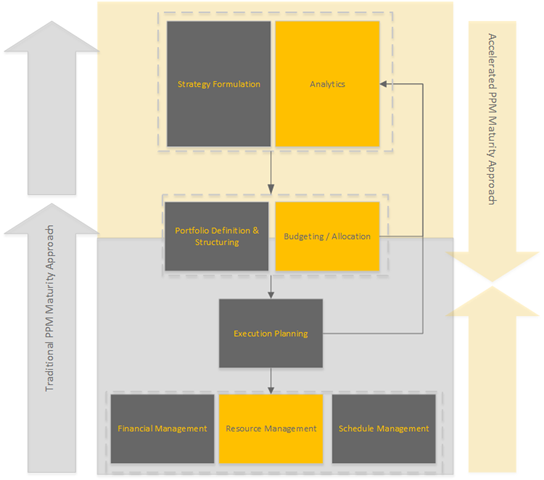 That becomes the end goal of the PPM maturity exercise, to build the processes, tools and behavior required to support the execution of organizational goals. Don’t stop there however. If you start at the top and never take it down to the execution layer, you end up with some fantastic reports and slide decks – depicting a fantasy world that will never get realized. Start at the top, and follow through all the way down to the project execution processes. The second principle is to truly understand the importance of change management as an enabler of PPM maturity ROI. Without the behavioral change, nothing happens. How do we get that behavioral change? There are a number of ways and frameworks to accomplish this, but the main way I’ve seen to succeed in this space is to really focus on inclusive involvement and a solid consensus as to the underlying goals of the initiative. This means allowing the folks at the execution end of the portfolio to participate in discussions on how the portfolio links back to organizational goals. An overriding focus on the technology required to enable PPM processes. The cognitive dissonance caused by acknowledging the underlying issues driving lack of organizational performance and then capitulating to immediate needs by focusing on the wrong issues. What happens when organizations ignore these principles? Ignoring these principles makes the road to PPM ROI even longer and more winding. Many organizations give up in the middle, or get stuck in endless loops trying and failing different things….like iterating through execution maturity to find just the right fit of methodology to map to the organization. This is a great discussion – but it tends to distract us from where we’re trying to get to, i.e. portfolio alignment. Similarly, I find the resource management discussion tends to distract us from our true aims….and by distract, I mean put everything on pause for 6-8 months while we focus on something tangentially related to our goals – which then fails to achieve our actual goals, resulting in ever increasing cultural resistance to the overall PPM story. 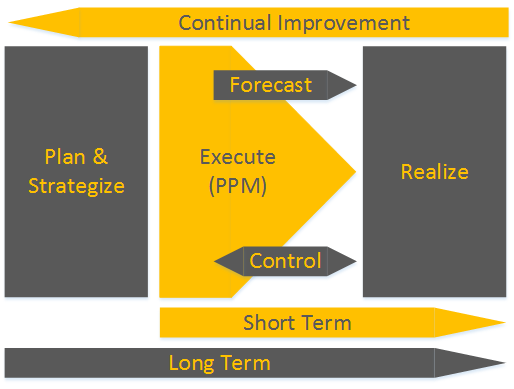 Curious what the path to PPM maturity looks like for many organizations. 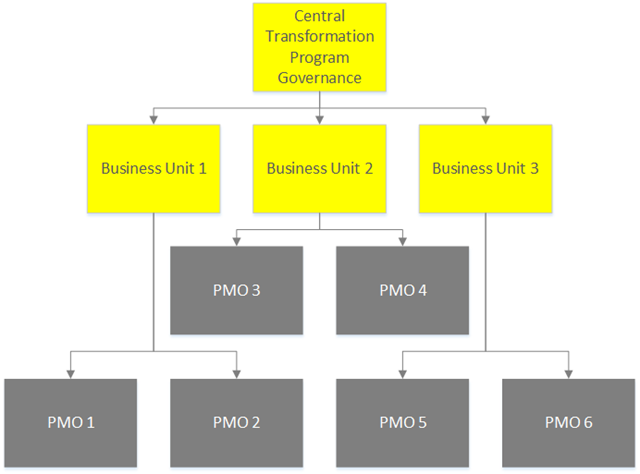 Take a look at this post that walks you through the evolution of PPM in most organizations. Notice something? The main reason most PPM investments fail is that they’re too limited in scope. It’s an investment in strategic execution, and we almost always begin with operational excellence. This is certainly not without value, but the sequence should be reversed if we want to push the needle meaningfully. It’s not about executing better, but about aligning better. Involve the organizational execution folks in the discussions. Wrap it all with analytics. The major return on the PPM investment lies in getting important things done faster and in not wasting time on things nobody particularly cares about. Follow these principles, and while you may not have the results you need in a couple of months, you’ll certainly have them faster than you would following a more traditional path.